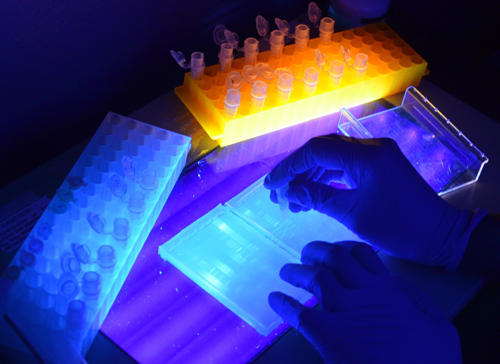 Preparing a library for Next Generation DNA Sequencing. Excess adapters are removed in this step. Suchitra Ramani, Research Associate at Bioo Scientific Corp. describes her work and shares a typical day. What degrees / certificates did you obtain? 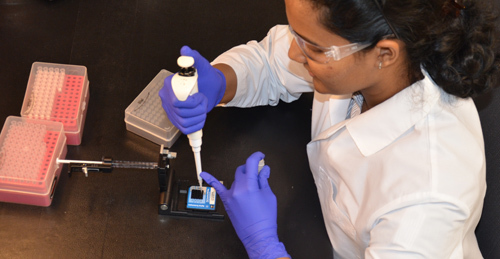 I am primarily involved with development and large scale production of Next Generation DNA sequencing kits. Additionally I'm a 'Product Manager' for the Cytokine product line, and I oversee production of the kits and provide technical support for customers. In biotechnology R & D, especially in the Next Generation Sequencing (NGS) realm, there is a lot going on in a day. The week usually starts with lab meetings to discuss results from the previous week and design experiments for the upcoming week. I spend most of my time with development & optimization of NGS DNA library preparation kits at Bioo Scientific. 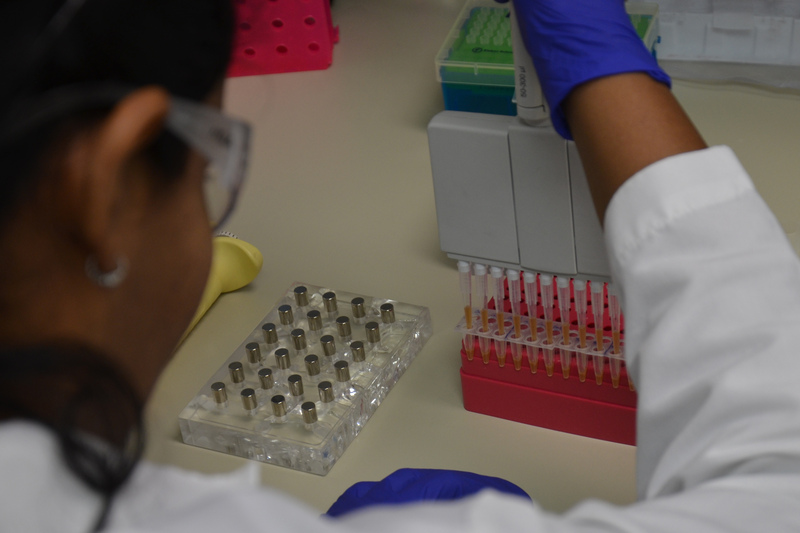 An average day involves experiments to test DNA input, optimizing enzymes and buffers used in the reaction & testing various PCR cycles to get good DNA libraries. Usually working on at least two projects at the same time requires multitasking & organized workflow to increase efficiency. In addition to R&D, I have manufacturing responsibilities which include kit production & implementation of QA/QC procedures. Biotech is an ever expanding field and so it is really important to chose your niche within Biotech that appeals to you. Apart from your technical skill set, developing your communication and organization skills are equally important for improving your efficiency. Science is like a sinusoidal wave, it has its peaks & troughs - So be prepared to work hard. Know your strengths and focus on them. Never stop learning and do not hesitate to ask for help. Pursue what you love and don't forget to have fun! Although I completed B.S in Biochemistry & M.S in Bioinformatics in India it was not easy to get a foothold in Austin's Biotech industry. The biotechnology program at ACC had an internship at the end, which gave me the perfect launch platform to start at Bioo Scientific. I have been able to apply all the basic skills that I acquired in the program to my job. Along with the skills that I learnt on the job, I now have a very fulfilling career in the field of my choice!